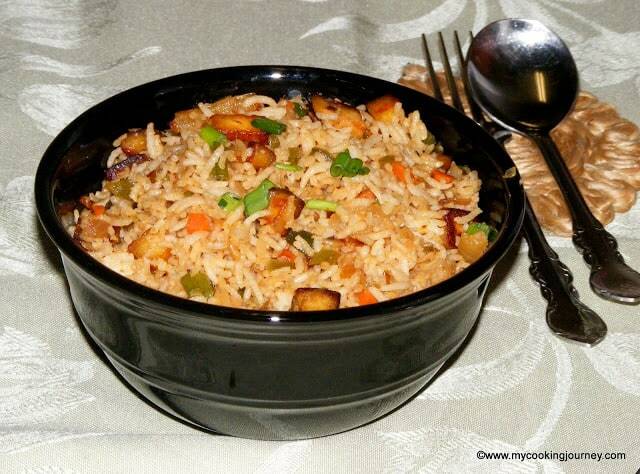 A simple and quick to make Vegetable Pulao recipe. 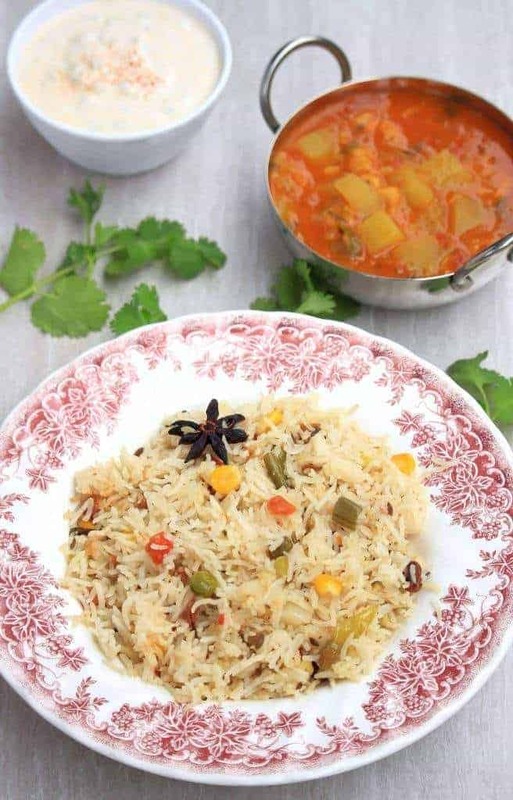 Made with mixed vegetables, spices and rice, this Vegetable Pulao will be a perfect side dish for your lunch or dinner. 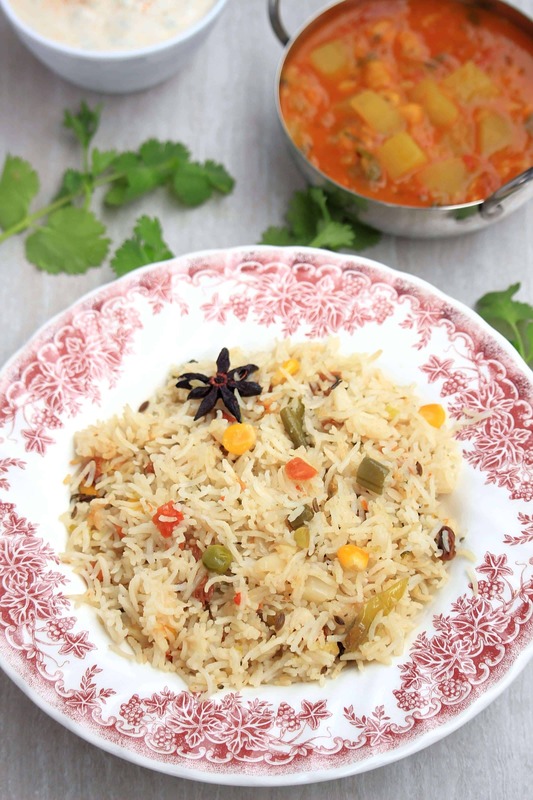 I am redoing my old posts every now and then and this Vegetable Pulao is one of the posts that really needed my TLC. 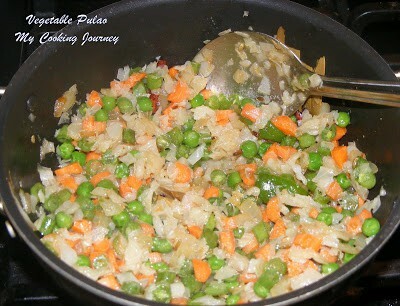 I often wonder how recipes like this Vegetable Pulao is still not taken care of as it is something I make very often. Our weekend lunch usually includes a roti / phulka, a subzi, raita and a pulao. 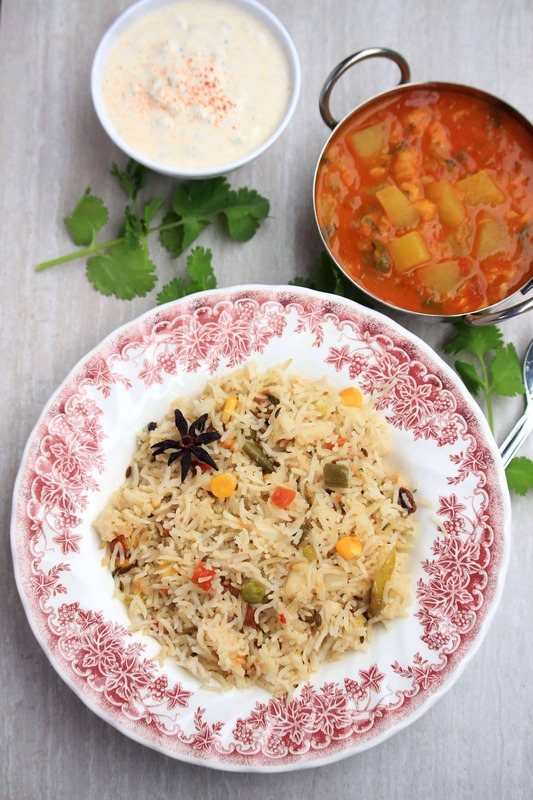 Vegetable pulao is one of the easiest recipes to make and ever since I bought my Instant Pot (read 2 Instant pots), life has been way easier. 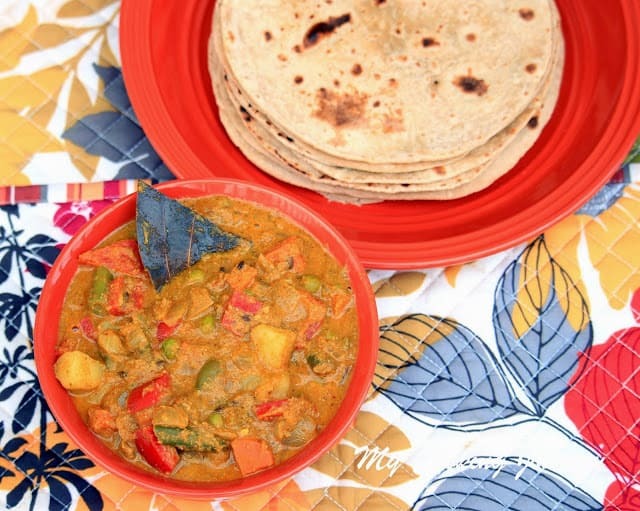 Last weekend, I made Lauki Subzi to go with the vegetable pulao and of course we had the roti / phulka and some raita. 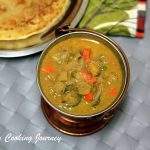 I came across this recipe in one of the Tamil magazine insert. I love those little recipes inserts that come in the magazines. My mother always collected them for me and sent me a bunch of it every time I come back from India. It has been a while now since I added any more inserts to my collection. You could use fresh chopped vegetables or for the ease use the frozen vegetables. I often use the frozen mixed vegetables as it is quick and easy. Since this is one of old posts from the times when I did not own an instant pot, the recipe still has instructions to make it on stove top. I did not replace my step by step pictures, so I am still going to leave that recipe. If making it in an Instant Pot, saute the spices and the vegetables directly in the pot and cook it for 4 minutes and do a 10 minutes release. Soak the rice for about 30 mins. Drain and keep aside. Heat oil in a pan; fry the fennel seeds, cinnamon, cardamom, star anise and cloves. 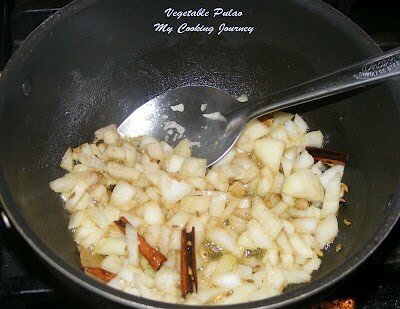 Now add the chopped onions, salt, ginger garlic paste and the green chilies and fry until the onions are translucent. Now add the rest of the vegetables. Mix well and cook for about 2 mins. 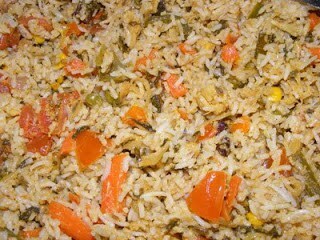 Mix the yogurt with the drained rice and add it to the vegetables. Also add 1 ½ cup of water and mix well. Add the chopped mint and cilantro leaves. Transfer it to a cooker and let it cook for up to 2 whistles. You could also cook it on stove top or rice cooker or make the whole recipe in the instant pot. Once the rice is cooked add the ghee and fluff it up with a fork. Serve hot!!! 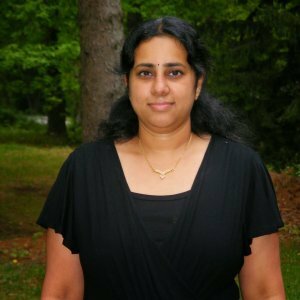 New pictures look fantastic Sandhya, even we have so many paper clippings that I get scared to even think about checking it. One pot meals are so convenient. I had a huge collection of those tiny books and recently had to dispose them off. I really felt sad about that. 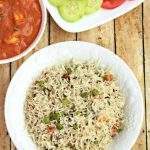 This pulao looks so simple yet absolutely yum. This is how I make pulao as well in the IP. Quick to make and it is a crowd pleaser as well. 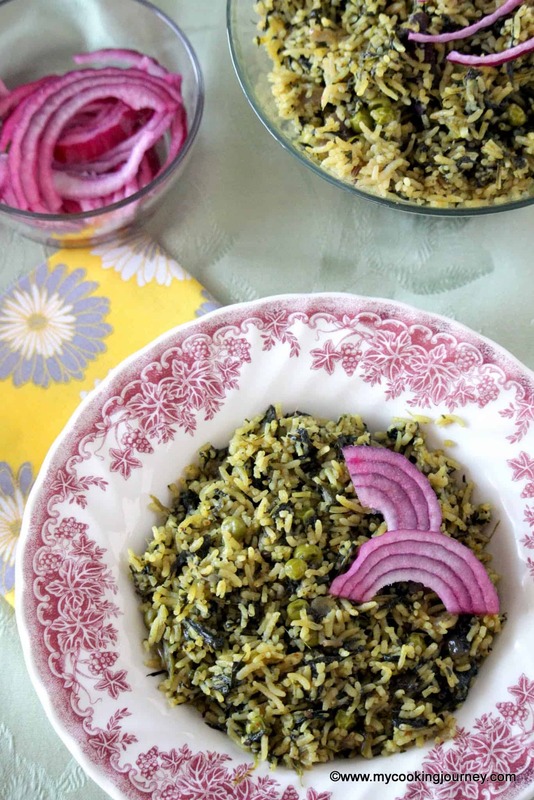 This is one of my go-to one-pot rice recipes to make on a weeknight. Frozen veggies are so much convenient for quick meals like this. I usually add either chickpeas or paneer to make it a complete meal. One-Pot Meals are such a comforting food for a person like me. And all veggies makes it so filling. One pot meals are always so easy to prepare. Good one. My whole family is such a huge fan of vegetable pulao.If nothing comes to mind, I make veg pulao as I know all will have it happily. 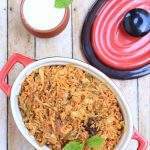 We just love vegetable pulao anytime, serve me with some paneer or spicy potato gravy, i can sit and have this one pot meal without any fuss. 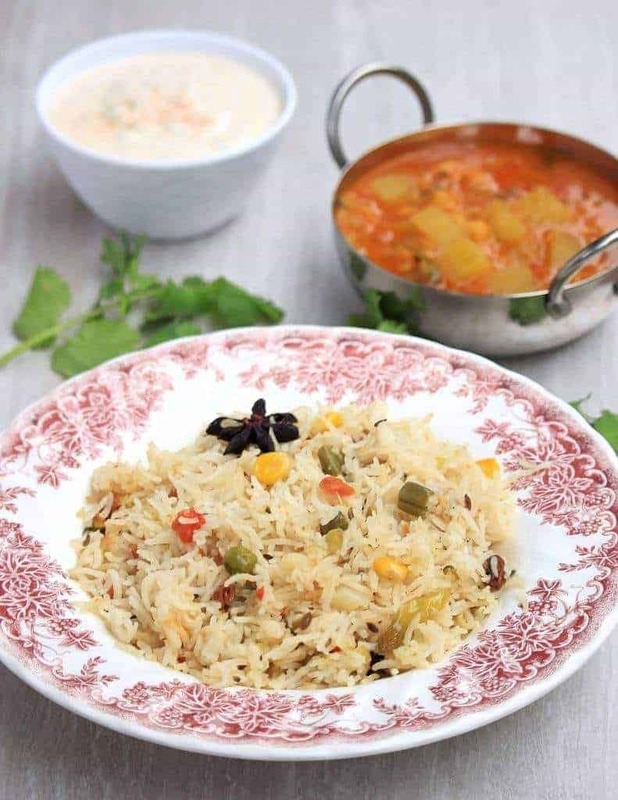 One such comforting meal.The pulao looks so colorful and got a perfect texture. With yogurt and the vegetable side dish, this makes a wholesome and inviting meal. love the use of star anise in this version. It is one of my favorite spices. 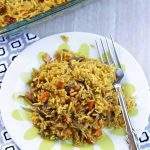 vegetable pulao is one of the recipe which comes to rescue. 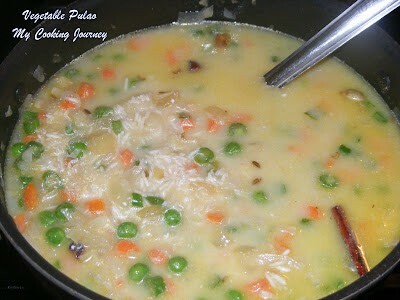 such a delicious looking pulao. with raita it is a complete comforting food. 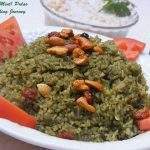 Wow.. love this pulao recipe… so aromatic and flavorful.